Here is another example trade using the Traders Action Zone strategy. This trade did not go in my favor, which is why money management is so important to swing trading. 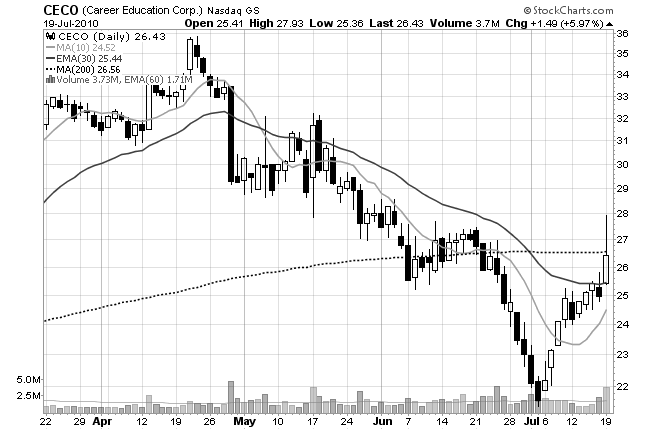 Here is a swing trade that did not go in my favor. 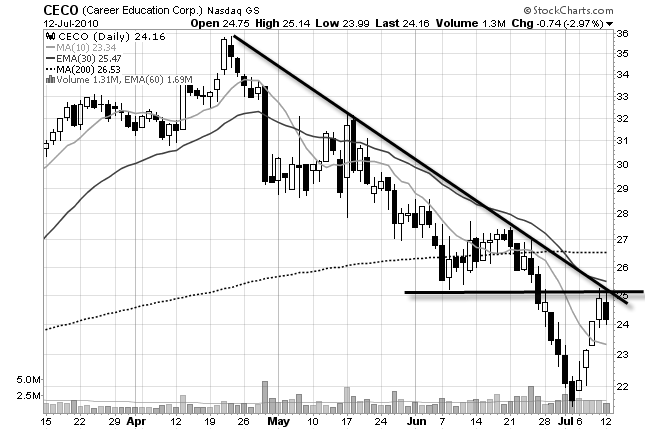 CECO was up against resistance and an upper trend line. 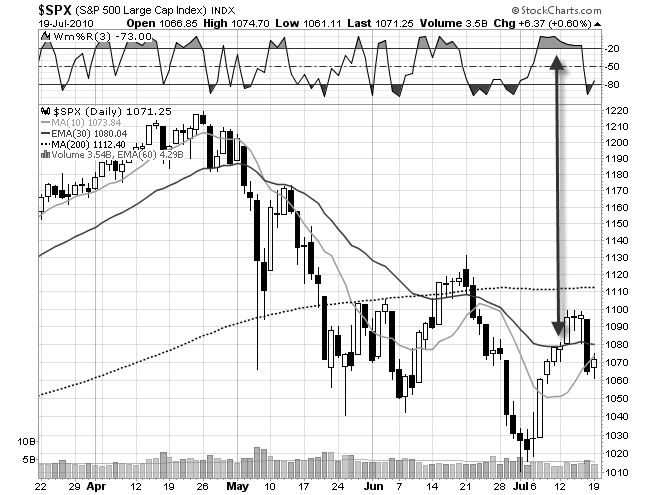 Then it formed a bearish candle after four consecutive up days. And, it was reversing near the 50 percent retracement level. Plus, it had relative weakness compared to the S&P 500. Not only that, but the hourly chart was perfect! There is a double top chart pattern at $25. This was an ideal stop loss area. If this stock moved above this area then the trade would be invalid. So, I shorted CECO near the end of the day. 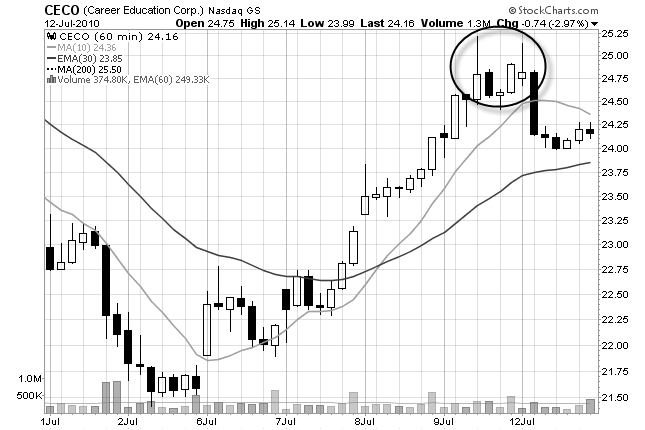 This stock moved above the double top ($25). There is always an area on a stock chart that invalidates the set up. In this case, that area was the double top chart pattern. So, I got stopped out for a loss. You are doomed without a money management strategy. There will ALWAYS be losing trades. That knowledge is what has kept me in this game for so long.